February 2019 - Calla interviewed about her new book on Elizabeth Appraisals Radio Show, on KZSB. September, 2017 - My “What’s Your Jewelry Personality” blog post inspired MJSA to interview me about helping clients with discerning personal style for jewelry. December, 2016 - Edible Magazine – coverage of Calla Gold Jewelry wedding ring designs. May, 2016 - Calla Gold was on the “Taking Charge” panel for the Women in Media conference at UCSB. August, 2015 - Calla Gold was quoted in an article published by NPR titled “Titanium Rings Tough To Crack In Emergencies” featured in their Treatments and Health News from NPR section. Click here to read entire piece. 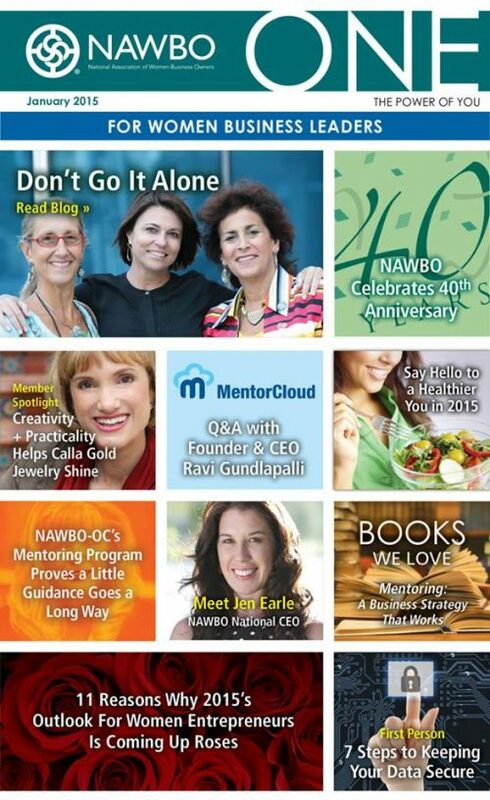 January, 2015 - Calla Gold was interviewed for the Member Spotlight by NAWBO with a piece titled “Creativity + Practicality Helps Calla Gold Jewelry Shine” featured in their National publication NAWBO One. May, 2014 - Santa Barbara Personal Jeweler Calla Gold was the winner in the Retail Category for the Annual Spirit of Entrepreneurship™ Awards held in Santa Barbara May 9th, 2014. Download or Read Online. October, 2013 - In an article titled “Facebook and Beyond,” Calla Gold, Custom Jewelry Designer was quoted on how she uses YouTube to showcase her expertise. The piece highlights effective social media approaches by members of the Manufacturing Jewelers & Suppliers of America group. Read or download entire article here. 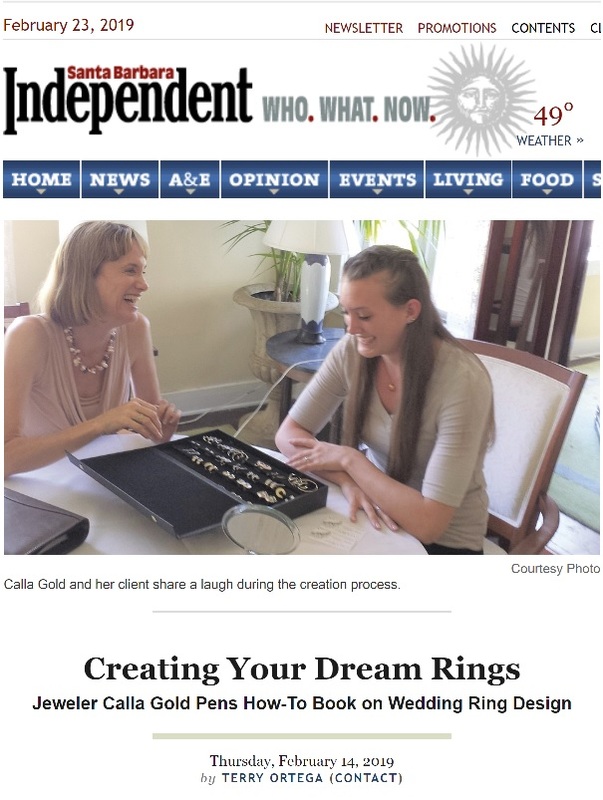 September, 2013 - “Person of Interest: Calla Gold: Jewelry Designer.” Calla Gold was interviewed for Alene’s Adornments in an article series about people who are living their dream and following their passion. Read interview here. July 2013 - MJSA Social Media Round Up – Santa Barbara Personal Jewelry Designer, Calla Gold was quoted in the featured discussion on a “Website Tune-up” compiled by MJSA’s LinkedIn Group. Gold offered the advice “Your Facebook business page is like a free website. You can regularly show your work and get a conversation going with various people who see what you do.” Read the entire article here. April 2013 - Calla Gold speaks on Image, Success and Self-Confidence. Featured in Santa Barbara Independent. 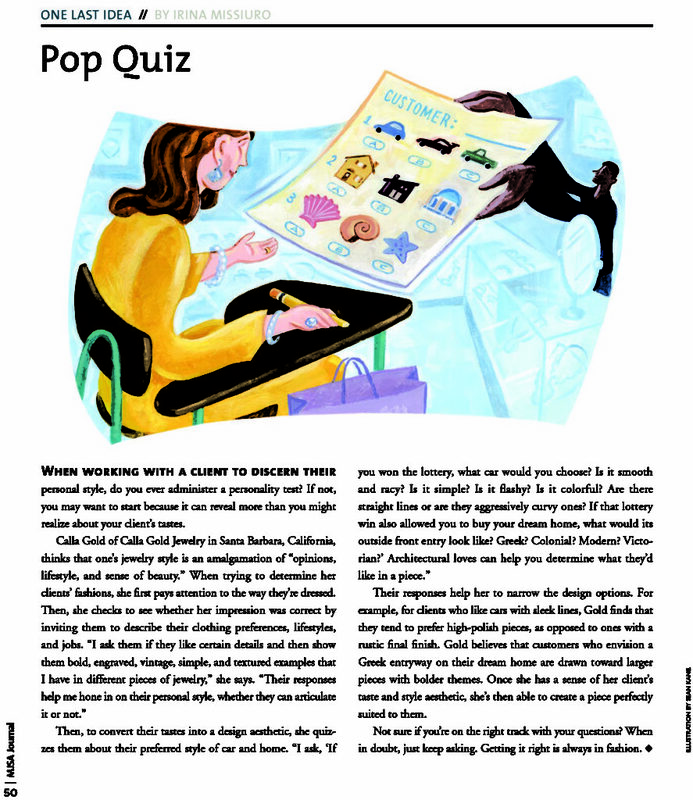 January 2013 - Santa Barbara Jeweler Interviewed by Real Simple Magazine. 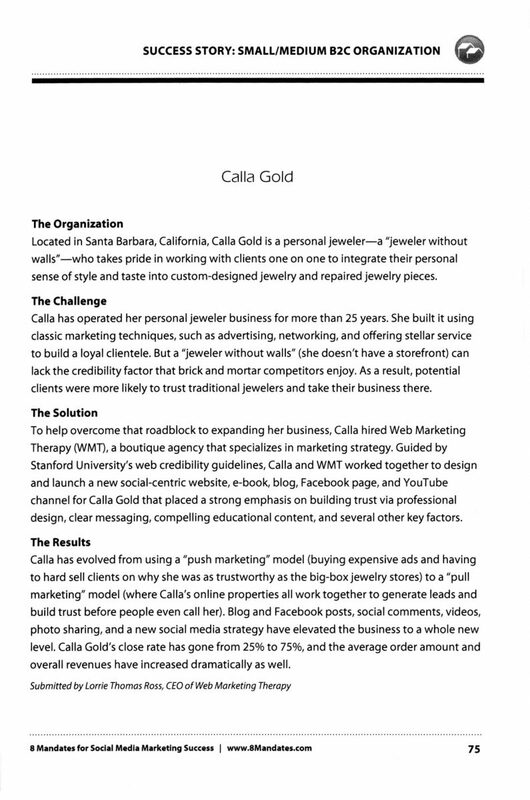 November 2012 - Personal Jeweler Calla Gold Featured in Social Media Marketing Book. May 2012 - NAWBO Award Nominee Calla Gold Designs Custom Necklace for Keynote Speaker Lynda Weinman, founder/CEO of lynda.com. April 2011 - BlogTalkRadio program Metalsmith BenchTalk guest interview with Calla Gold. January 2011 - MJSA Custom Jeweler Magazine, The Architect’s Ring: Building the perfect engagement ring for a detail-driven client. An article on Calla's innovative solution to a challenging design. May 2011 - MJSA Custom Jeweler Magazine – Santa Barbara Jewelry Designer Calla Gold featured in Custom Connections – Marketing Custom Jewelry Online. Download Full Article. January 2010 - Calla quoted in Fox News Small Business Center, US jewelry business under a microscope. August 2009 - The Daily Sound, Local succeeds in jewelry business. Read More. 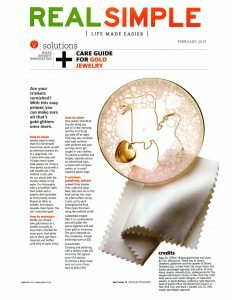 Calla Gold of Calla Gold Jewelry was interviewed and featured in the article titled “Care Guide for Gold Jewelry” in the Solutions section from the February 2013 issue of Real Simple Magazine. In the article Calla offers expert advice on how to clean, how to store, how to maintain and three common problems solved when dealing with your gold jewelry pieces. Click here to Read Entire Article. 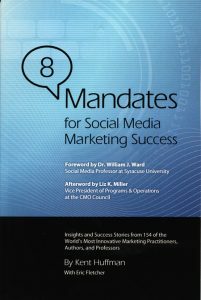 Calla Gold was featured in a book titled “8 Mandates for Social Media Marketing Success.” The book profiles her success story as a “jeweler without walls” in business for more than 25 years. The story also includes the creation of Gold’s social centric website and her use of social media strategy. Click here to read entire story. 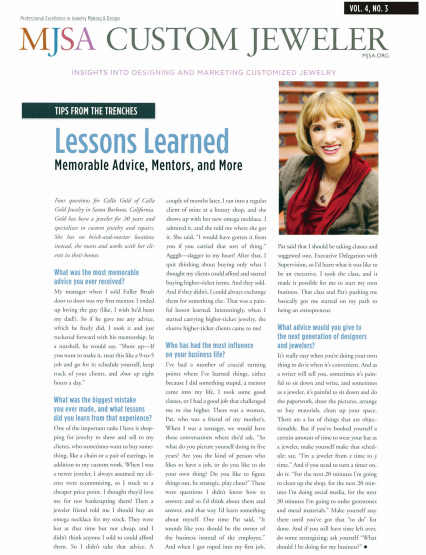 Santa Barbara personal jeweler, Calla Gold was interviewed by MJSA Custom Jeweler on her insights into designing and marketing customized jewelry in an article titled “Tips from the Trenches” Lessons Learned: Memorable Advice, Mentors, and More” Click on Image to Read Entire Article. Calla Gold’s personal jeweler expertise and her custom wedding ring design were featured in an article titled “Help Wanted: Finding the right subcontractor to meet your needs” in the MJSA Journal: Professional Excellence in Jewelry Making & Design. Click on Image to Read Entire Article. 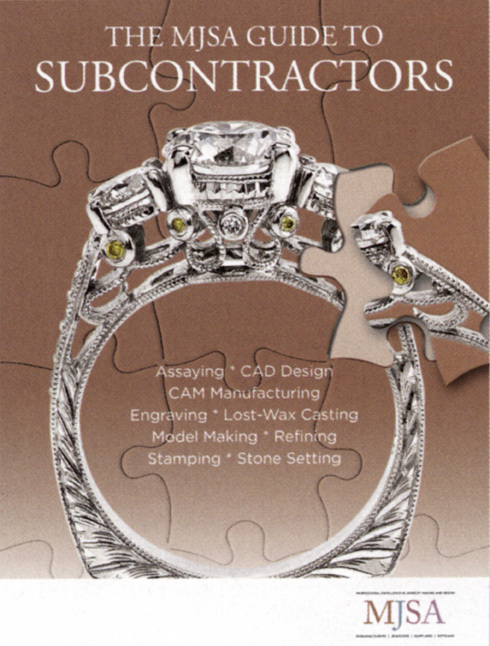 Calla Gold Jewelry’s custom ring design was selected and featured as the cover art for The MJSA Guide to Subcontractors. 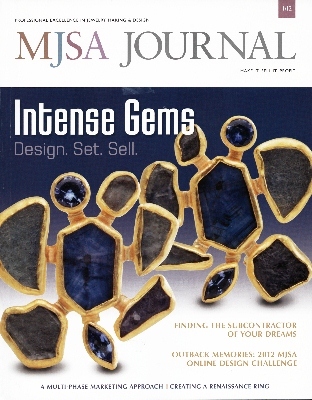 The MJSA Journal is a publication for manufacturers, jewelers, suppliers and artisans. Click on Image for a larger photo of the Guide Cover. Personal jeweler, Calla Gold was interviewed by NAWBO – the National Association of Women Business Owners, for a “Member Spotlight” featured article in their national publication NAWBO One. Click here to Read Creativity + Practicality Helps Calla Gold Jewelry Shine. 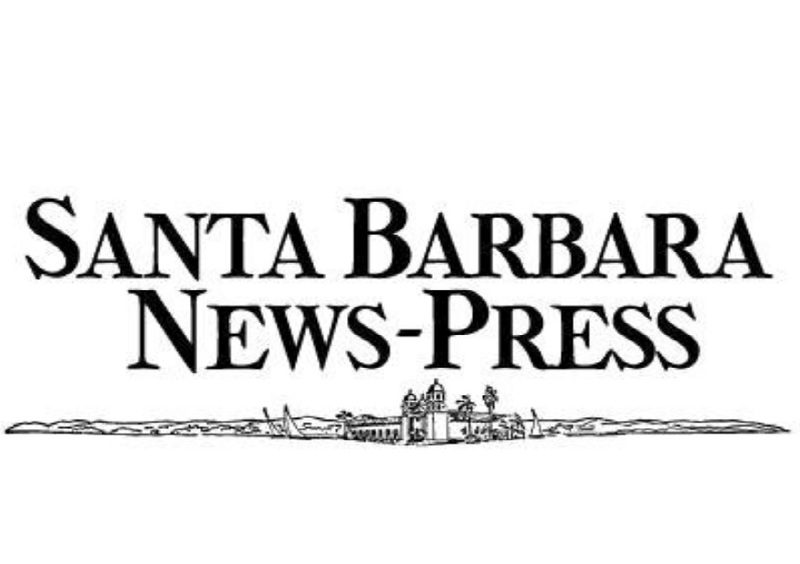 Calla Gold, owner of Calla Gold Jewelry was featured in the Santa Barbara News-Press for winning the Retail Category in the 2014 Spirit of Entrepreneurship™ Awards. The article titled “Businesswomen honored for contributions to economy” showcased the 10 local businesswomen honored at the Award Ceremony that took place on Friday May 9, 2014. Click here to Read Entire Article.